Assistant professor Brach Poston joined the Kinesiology and Nutrition Sciences Department during fall 2014. 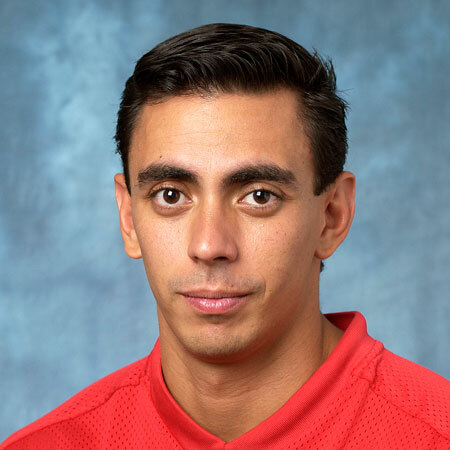 He teaches Neurophysiology of Movement, Scientific Basis of Strength Training, and Advanced Strength Methods within the undergraduate program, and Neurophysiology of Movement and Biomechanics of Strength within the graduate program. Poston’s research focuses primarily on the use of non-invasive brain stimulation (transcranial direct current stimulation and transcranial magnetic stimulation) to improve motor skill and learning in Parkinson’s disease, aging, and young adults. He also conducts research on strength training and muscle fatigue as well as concussion in boxing and mixed martial arts. Before coming to UNLV, Poston was a project scientist at the Cleveland Clinic Lou Ruvo Center for Brain Health in Las Vegas. Prior to this position, he completed a postdoctoral research fellowship in the Human Motor Control Section, Medical Neurology Branch of the National Institute of Neurological Disorders and Stroke at the National Institutes of Health. He also received postdoctoral training at Arizona State University in neural and motor control. Poston earned his Ph.D. in Integrative Physiology from the University of Colorado-Boulder, a Master’s in Exercise Physiology from the University of Nevada Las Vegas, and a Bachelor’s in Physical Education from Southwest Missouri State University. He is also a certified strength and conditioning specialist and a certified personal trainer by the National Strength and Conditioning Association. He is on the editorial board of the Journal of Functional Morphology and Kinesiology, and received the 2016 School of Allied Health Sciences Distinguished Scholar Award.